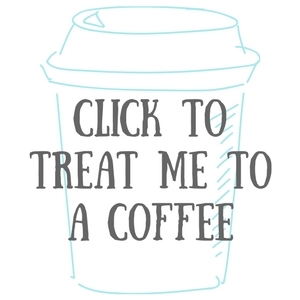 Thank you for stumbling across my little blog The Emma Edit, it is great to have you here. As you have clicked the ‘about me’ button, I’m guessing you would like to know a little bit about me? Well, I’m a female in her mid-twenties winging her way through life. I live in a small town in Norfolk in the UK, I live here with my boyfriend of four years. We don’t have any children, but we do have two Leopard Geckos called Tango and Bongo (we call them our children). I don’t want to write too much here about me because it will start to sound like my CV! Before I started this blog in January 2017, I had never even read a blog post before and didn’t realise how popular blogging was. I was feeling uninspired one day and I noticed that no one around me shared the same interests as me: I was feeling quite down and frustrated about this, so I had to do something about it. That’s when I had my lightbulb moment- why don’t I start one of those blog thingys?! I couldn’t wait to get home and get started, I was very excited. I worked really hard to my blog off the ground, and I am still working equally as hard now! I know you are supposed to find a niche for your blog, but I always knew I wanted to blog about a wide range of topics: I have a few interests, so I didn’t want to pick between them. In doing this, I hope everyone will find something on my blog that appeals to them. I really enjoy reading beauty blogs, so I get a lot of inspiration from other people for my own posts. I like to write honest product reviews so can I recommend products to you. So far, most of my posts are about makeup, but I want to start writing more skin care posts soon. This is a fairly new category on my blog because I needed somewhere to store my miscellaneous posts. 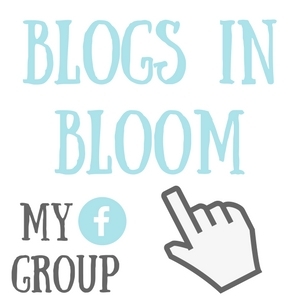 I recently started a Facebook community group for bloggers called Blogs In Bloom- you will find information about the group under this heading. When I hit blog milestones and host giveaways, you will find all you need to know here. Once I am an experienced blogger, I would love to write about blogging and offer tips and advice. Okay, okay, by fashion I mean clothes I like to wear. I’m not into following fashion and the latest trends, I just love buying clothes! But, what I love most is finding bargain clothing! You will find me rummaging in charity shops and at car boot sales when the weather is good- you never know what you are going to find! When it comes to internet and high-street shopping, I never buy anything full price, I always wait for the sale. I would love to share my style with you and show you my bargains! Lifestyle is such a broad category, I could probably just label myself as a lifestyle blog. My boyfriend and I bought our first house in June last year so you will find lots of homeware posts in this section: I like to show you where I buy everything from and offer advice. I have been a chef since I was 18, so it would be silly not to post recipes. I like to do a mixture of sweet and savoury recipes so there is something for everyone. Lots of people have dietary needs, so I like to design my recipes to be universal: even if you don’t have any dietary needs (like myself), you can still enjoy them and be healthy. Since I went on my first holiday abroad without my family when I was 18, I have fallen in love with exploring the world. I like the security of package holidays, but that doesn’t mean my boyfriend and I don’t enjoy exploring. I did my first travel post in May when I went to Ibiza- I made it my mission to show that it’s not just a party island! We don’t have any more trips planned, unfortunately, but I will be looking back at our past adventures on the blog soon. If this is your first time on my blog, I hope you will enjoy your stay and that you’ll come back for more. If you are already one of my lovely followers, then thank you very much for sticking around and for your continued support- you are all FAB 😘. My Bitmoji alter ego: you might see her around! P.S. press the like button if you made it to the end of my ramblings! Welcome to the blogging community. I am new as well and like you, it just kinda happened! Looking forward to following along! Thank you Oriana…that is great news!! Thanks for your comment 😊. The older I get the more self-conscious I become though 😅. I’m glad you are loving your 30’s! Thank you 😄. I didn’t think I would come across anyone else from Suffolk! 😅. I will check your blog out later! I never buy anything full price. I wait till sales (50% and up) and I usually find greatt bargains for good prices! Yay, a fellow sale saver! Can’t beat it haha! Thank you! Good to see you soon! Hello there! I did notice Cheila has created her own tag…very good idea! Thank you for the nomination! :D. I will do it! Oh, hello! I haven’t come across anyone local on my blogging journey yet! Hiya! You do look so youthful, whatever your secret it, you could bottle it and make a fortune 😂 I’m on the wrong side of 30 but I can still do star-jumps so it’s not all bad. I just found your blog from the blog party, and I am really liking it! I look forward to your future posts! Nice to find out some more about you and looking forward to reading your posts, especially recipes. I’ve had allergies for around two years now and it really makes me pay attention to what goes into every dish! Aw i really like this! I love hoe you went into each topic you wanna blog about. I think its hard to narrow down what you are if you write about more than one thing these days. Its nice to get to know you! Great about page. I had a hard time deciding on a niche so glad you r open and experiencing lots. I’m glad I found your blog. I just started my blog a little less than a month ago and I also have no particular niche. I’m all over the place too and sometimes I feel like I need to settle for one thing, but you’re blog has given me the encouragement I need. Nice to meet you.